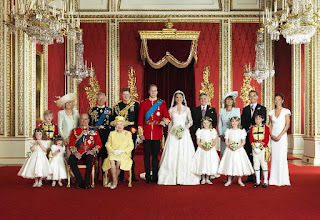 Are you a royal family junkie? Do you just love Will and Kate? Albert and Charlene? Or do you think the Queen and Prince Philip are royalty's number one couple? Named a "Cinderella story for the beach bag", Sourcebooks is extremely excited to be releasing Wendy Holden's Marrying Up in August! Marrying Up has all of the crazy love, eye-opening snobbery and naked ambition to create a juicy cocktail worthy of any royal. After all, what's a relationship without a title and a tiara? In honor of Wendy's new release, I am looking for America's royal couple. Who is it? You tell me! 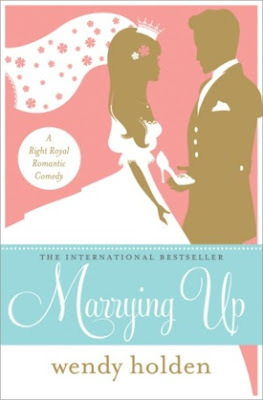 Leave a comment with your suggestion for America's royal couple and you are entered to win a copy of Marrying Up! Contest runs from August 8 until August 10, 2012. USA and Canada only. No email, no entry! As women around the world watched Will and Kate walk down the aisle, many of them were plotting how they could find their own prince charming. Razor-sharp in its wit and as fresh as newlywed royals, Marrying Up (ISBN 9781402270673, Sourcebooks Landmark, Fiction, Trade Paperback, $14.99 U.S., Aug 2012) by Wendy Holden reveals how sometimes a rags-to-riches story can rip a girl to shreds—and how sometimes the crown on your head can nearly crush you. Only a title, a mansion, and a family tiara will do for a scheming social climber like Alexa, and she will go to great lengths to get it. Starting by befriending clueless aristocrat Florrie, who fills her life with parties, texting, and, above all, champagne, means that the grandest doors swing open and the prince of her dreams is within reach. But has Florrie’s mother, the formidable Lady Annabel, figured out Alexa’s intentions already? Meanwhile, beautiful but penniless archaeology student Polly has found herself in love after a chance meeting with a dark-eyed stranger named Max. However, Max is hiding a big secret, a secret that could ultimately ruin any chance of him and Polly living happily ever after. Wendy Holden (UK) was a journalist for the Sunday Times, Tatler, and The Mail on Sunday before becoming a full-time author. She has now published nine novels, all top 10 bestsellers in the UK. Her novels include Beautiful People, Farm Fatale, and Filthy Rich and feature sassy humor with a great cast of characters. For more information, please visit: www.officialwendyholden.com. Will & Kate are the most famous royal couple, but I think for time alone, the title should go to Elizabeth & Phillip. Yeah, he reportedly likes the ladies, but I do believe they love each other. It works for them. Will & Kate are the most popular royal couple at the moment, but Elizabeth & Phillip are still my favs if only because they have been together forever. I hear about Brad and Angelina Jolie all the time. They seem to be one of America's most popular couple. I think John Travolta and his wife Kelly Preston would make a good royal couple. Thanks for having the giveaway. Thanks for the giveaway and just love hearing about Royal coples in the modern day. The book looks great.